Just when you thought it was safe. You know the sort of thing – Austria wins the contest, the fans are split equally between those that are happy and those that think Netherlands/Sweden/Armenia/Nepal were robbed, everyone looks forward to going to some strange new city next year. 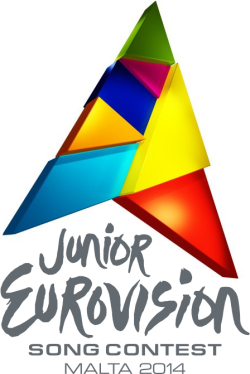 But wait, to tide us over until the 2015 National Final season starts, we have big Eurovision’s little brother to look forward to, known to its friends as JESC. As we all know, the winning country of JESC doesn’t necessarily host the following year’s contest, in order to take some of the pressure off the young performers. However, Malta won in 2013, and it will be held on the sunny Mediterranean island on 15 November. To date, only nine countries have confirmed their participation in the event, but this is expected to increase in the coming weeks and months. Whilst previous JESCs have been held in a host city, Malta breaks that tradition by having a host island instead. Indeed, with no big cities as such, the venue is in the Shipbuilding at Marsa, which is contiguous with Valletta to the north and Luqa (home of the island’s airport) to the south. As this is the first big Eurovision event Malta has ever hosted, it is a sure thing they will push the boat out to make it an enjoyable and memorable show. Stay tuned for more information about this year’s venue and a potential cross-over with the grown-up Eurovision and we will have some surprises on the way for you!